Images from the Second Intifada conflict between the Palestinians in the West Bank, Gaza and Israel. Two Palestinian girls returning to school after many days of closures inside of Bethlehem. 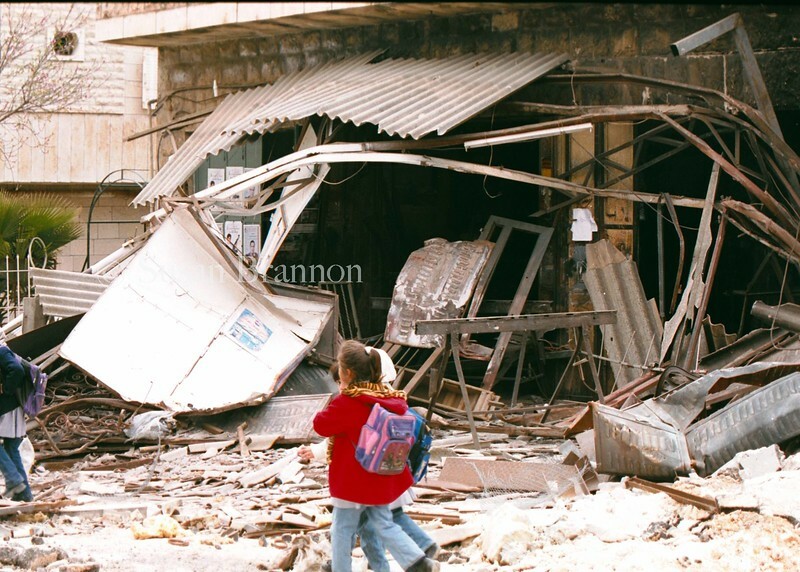 They stroll by destroyed buildings and cars in the attempt to return to a normal life.